I returned from Kumasi on a Friday night from a successful business trip. I was preparing to attend an all-night service at church; when, I realised my wallet was missing. At that point, I concluded I had dropped it in the taxi that brought me home. I reminded myself; this is my year of Heaven on Earth, and nothing was permitted to be lost in my life. The devil wanted to steal my joy, but I remember how we were admonished at Shiloh 2014 to hold unto our joy at all cost if we wanted to manifest the Heaven on Earth agenda of God. 1 Thessalonians 5:18 says, “In everything give thanks: for this is the will of God in Christ Jesus concerning you.” I thank God for what had happened and kept my faith alive with the testimony of Bishop David Oyedepo, which was recorded that he lost his briefcase at the airport whiles traveling; it was later found in his office safe; just because he kept is joy and was thankful. Jesus tells us in the Bible that while we are in the world, we will have trouble. 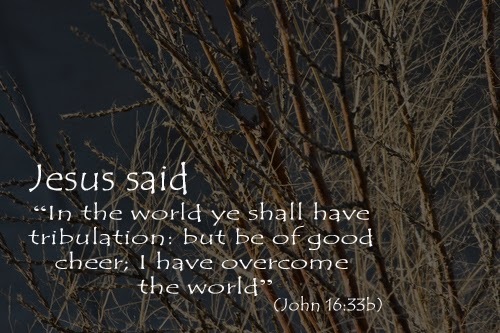 He gave us the key to overcoming trials in His next statement: “…but be of good cheer, for I have overcome the world.” (John 16:33) Jesus tells us to keep our joy and always know that He has already overcome everything in this world. He gives us the mental attitude we need to hold on to in order to get through our trials. “Be of good cheer, for I have overcome the world.” In real life, it is a supernatural act of worship to hold on to your faith AND your good attitude during a fiery trial. Offer God the sacrifices of praise in that season. When you do this, you are giving Him absolutely the best part of yourself and accelerating your victory. My family was worried and requested I block my VISA ATM card I had in my wallet. I just asked them to relax, because I will recover my wallet in Jesus name. I kept my cool, because I knew my God was in total control of the situation. I went to church rejoicing and celebrating God with an expectation my wallet will be returned by the taxi driver. When the pastor asked as to pray the prayer that God must answer now; I asked God to return my wallet. Unlike many; my business life was dependent on my VISA cards. I was not ready to block my cards because of the time it will take for the Bank to issue me new ones; I was not ready to put my business on hold. I return home from church excited as though nothing had happened. The devil was not pleased with how joyful I was, because he had failed; he was just bent on stealing my joy. Before returning to bed; I decided to charge my phone, was not ready for any surprises from ECG. I connected my phone to the laptop and left it to charge. In order to keep the phone on charge; I had to leave the laptop on, I then decided to turn the screen so the screen life does not disturb my sleep; as soon as I was done and placed my head on my pillow. I just heard “Kpa”, I turned, and picked up my phone and laughed out loud. The screen of my iPhone was badly damaged. I told the devil; you have failed in advance. With joy in my heart; I slept like a baby as always. To the glory of God and to the shame of the devil; the second call I received that Saturday morning was from the taxi driver concerning my wallet, and promised to return it the next day; which he did.